The Star Academy offers Autism Schools in South Africa to children on the autism spectrum. There are hundreds of skills in each domain that a child requires in order to function to their age. No two children will have exactly the same skills deficits in the above domains and it is for this reason that The Star Academy’s Autism School solution provides the perfect solution – An Individualised IEP to address each child’s specific skills deficit as opposed to one curriculum set to teach a number of children who all have different skills deficits. Autism South Africa, on the rise – Autism is on the rise worldwide. Autism in South Africa is increasing exponentially at a rapid rate. The Center for Disease Control (CDC) in the USA recently released their latest statistics showing that every 1 in 59 children born in the USA is receiving an autism diagnosis. In South Africa we do not have a body taking these statistics, so accurate local figures for Autism South Africa are not available. But Autism in South Africa is increasing more or less on par with the increases seen in the USA and other countries around the world. Trouble diagnosing Autism South Africa – Many doctors and physicians have a low awareness of autism and thus fear and avoid making the diagnosis. Much of the exposure at medical school presents Autism as something to exclude when diagnosing. There is also an out of date tendency to simply label it a neurological disorder, and to call these children retarded, when in fact we know it is a treatable biomedical disorder. Shortage of Autism Schools in South Africa – With just 9 specifically tailored schools in the entire country, an estimated 135 000 autistic children are not getting the specialised education they need. Biochemically it is important to treat the root cause of Autism not just address the symptoms. It is important to treat the gut and immune system and break the inflammatory cycle. It is also important to support the body’s detoxification system and help remove the toxins from their bodies. One must also treat for viruses and try to heal the tissues. In addition to this they must be taught. There is a misconception, even among those in the autism community, that one either seeks biomedical treatment or does ABA therapy. You want to do both. You must remove the barriers medically and simultaneously you have to teach the children self-help skills. They have to catch up to the stage their peers have achieved naturally. Autism appears to be an environmental illness with a genetic component, and it is a complex metabolic disease, not just a developmental disability. Autism involves multiple body systems interacting with one another. Autism is treatable and early intervention is critical. At the Star Academy Autism Schools in South Africa the teaching methodology we use is called ABA. Applied Behavior Analysis. ABA has five decades of research in support of it being an effective methodology for children with autism and the old “aspergers” diagnosis. ABA is operant conditioning and uses positive reinforcement to teach children the skills they missing. 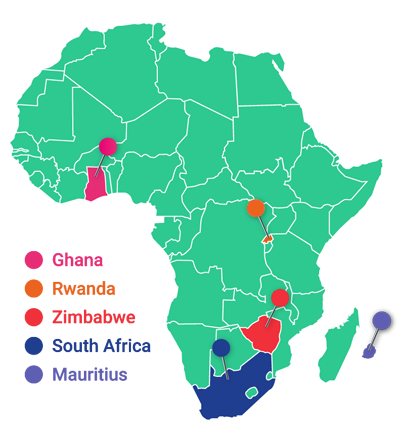 ABA has been proven effective an Autism treatment internationally and also for autism in South Africa. What does it truly mean to have an autism diagnosis? Autism simply means that the child is developmentally delayed and what we call skills deficit which brings me to our developmental curriculum. 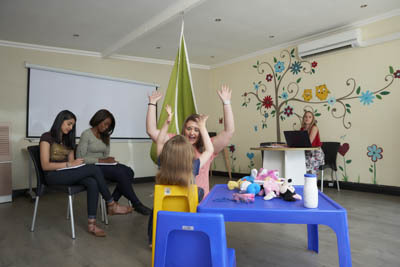 Our instructors at the Star Academy Autism Schools in South Africa are Board Certified Autism Technicians and are registered with the BICC which is the Behavioral Intervention Certification Council based in the USA that regulates ABA globally. 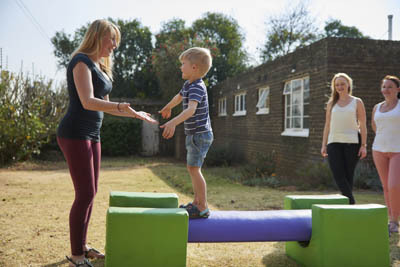 Our trained team of Autism Technicians are experts in childhood development. It is for this reason that we are successfully able to set a curriculum for each child. In addition to this we also use a holistic developmental curriculum, the “Skills” developmental curriculum for autism spectrum disorder. Each child will be allocated a case manager who uses the Skills Developmental Curriculum to set their Individualised Education plan (IEP). One thing we know for certain is that no one child with autism has exactly the same skills deficits. Therefore it is important to design and individualised IEP for each child to catch up their specific skills deficits. These areas are inter-related and if a child has skills deficits in one area it will result in them having deficits in other areas. It is therefore important to make sure that we carefully assess and determine which skills the child with Autism or Aspergers is missing so that we can design a program to catch them up. ABA includes behaviour modification. Many children with autism will engage in maladaptive behaviours and the only way to reduce these behaviours is to focus on skill acquisition. Each child will also receive a behaviour intervention plan which is aimed at addressing that specific child with autism’s skills deficits. According to Dr Ivar Lovaas – “If you have seen one child with autism you have seen ONLY one child with autism.” It is for this reason that we never group children with Autism or Aspergers together but rather design an IEP for each child who attends the Star Academy in South Africa. For some children who have prerequisites skills for school we facilitate them at mainstream schools in addition to working on their skills deficits one-on-one. Once we have caught up their language skills we can focus on social goals which will help them to be socially successful. Children with autism do require a solid set of language skills before they can be successful socially or keep up with the classroom environment.